If you love the look of fresh flowers and want to enjoy them longer, you’re in luck. The following ‘hacks’ make it easy to keep your arrangement looking its best for as long as possible. Follow the tips listed here for better bouquet management. Make your own plant food using common household ingredients. Grab the lemon, sugar, and bleach to mix together and add it to a vase filled with warm water. It’s a quick way to keep your flower arrangement looking as good as the day you received it. Take the last remaining buds and place them in a decorative tea cup. Don’t forget to place the saucer underneath it. Make colors tie together by selecting a cup in a similar color scheme as your arrangement. Misting your flowers keeps them looking fabulous longer. Flowers draw their water a few different ways. It’s not only through the stems. A light mist now and then keeps flowers fresh longer. Fruit and flowers don’t mix. Keep the two apart. Fruit emits a gas called ethylene which causes flowers to wilt quickly. If you don’t want that to happen, keep your bouquet far away from the fruit bowl. Keep flowers away from appliances and other sources of heat. The bouquet dehydrates quickly which causes the flowers to wilt quickly. Although direct sunlight seems best, it’s not. As with artificial heat sources, natural heat dries out petals fast. Now that you know how to protect your bouquet from wilting, you’ll enjoy the floral arrangement even more going forward. Place your gift in a visible location in your home or office away from high traffic areas where it might get knocked over. Also, keep it away from a sunny window and fruit as the objective is to keep your flowers looking great as long as possible. Flowers are the theme of many festivals around the nation. If you’re looking for something to do while you travel, you may want to look into traveling to one of the destinations on the list. A flower festival offers a fun and fragrant experience for people of all ages. It may rain a lot in Portland but it helps roses blossom and grow into the beautiful flowers that they are. The Portland Rose Festival saw over 2 million attendees in over a hundred years and highlights the heritage of the Pacific Northwest. One of the most popular attractions at the event is the Grand Floral Parade. An IFEA World Festival & Event City, the Oregon city received recognition for making a difference as a community by serving its people well. The nation’s capital serves as the backdrop for the National Cherry Blossom Festival. Taking place in spring, the two-week event celebrates spring and commemorates Tokyo Mayor Yuko Ozaki’s gift of 3,000 cherry trees in 1912. People from all over the world travel to Washington, D.C. to take part in the celebration which offers Japanese performances, food, arts, and crafts. Taking place in mid-March through mid-May at Walt Disney World in Orlando, Florida, this festival is perfect for adults and children. From themed displays, interactive play areas for children, and the well-loved Flower Power Concert series, guests are thoroughly entertained by all things flower and garden-related. The three festivals listed above serve as a sampling of what to expect from flower and garden events nationwide. Each offers its visitors the chance to get to see, smell, and experience beautiful flowers in a new and exciting way. A new baby is a blessing. What they bring to a family is special. Celebrate their presence in your life with a thoughtful and meaningful gift. Flowers are a good idea any time of year. While the mother of the child is in the hospital giving birth, send a beautiful bouquet or plant her way. Honor the new baby in your life with beautiful flower arrangements. There’s something special about a bouquet of fresh flowers. Some of the most popular bouquets offered are The FTD Girl Power Bouquet, The FTD Joyful Inspirations Bouquet by Vera Wang, Dreamland Pink Rose Bouquet with Vase, The FTD Boys Are Best Bouquet, and The FTD Color Your Day with Sunshine Bouquet. Each comes in its own vase and adorned with embellishments such as ribbons and balloons. A beautiful arrangement consisting of pink roses, pink Asiatic lilies, pale peach carnations, pale green mini carnations, and lush greens in a clear glass vase. Adorned with a pink satin ribbon, this bouquet is perfect for every woman and baby girl you know. The color of the sky, this bouquet of light blue hydrangea is enough to brighten any new mother’s day. Welcome her new child into the world with this fashionable arrangement. Soft pink roses rest among pink Peruvian lilies. Each lily stem has three to five blossoms, ready to open. 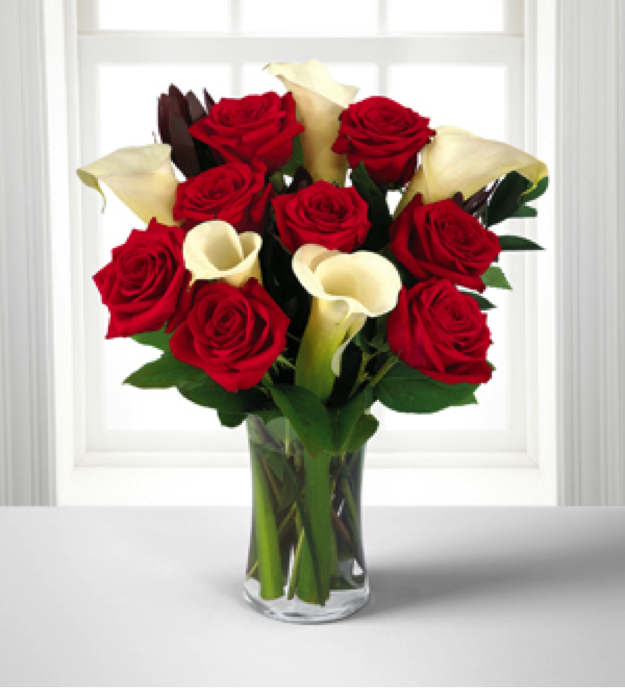 This bouquet comes in a classic glass vase. It’s ready to be put on display the way a new infant is for her family to see. Intended to welcome a new baby boy into the world, this bouquet consists of lavender roses, blue iris, lavender carnations, lavender daisies, white Asiatic lilies, and lush greens. A round whitewash woodchip basket holds the flower. A Mylar balloon announces “It’s a Boy!” in a thoughtful and memorable way. Yellow roses, white spray roses, yellow cushion poms, white traditional daisies, white monte casino asters, and lush greens sit in a sunlit yellow paint can inspired vase. The arrangement lights up any room, the way a newborn child does. Flowers symbolize growth. Give a new mother and her infant something bright and fresh to look at. A flower arrangement makes the perfect welcome gift for any baby girl or baby boy. There are few events as exciting for high school and college students as commencement day. As you prepare to attend this year’s graduation ceremonies, think about giving the female graduates in your life a meaningful gift of jewelry that they wear for years. The following five suggestions are among many Jewelry Boutique items sold on our website. Select the pieces that stand out most to you. You know the graduate’s personality better than anyone. 1. 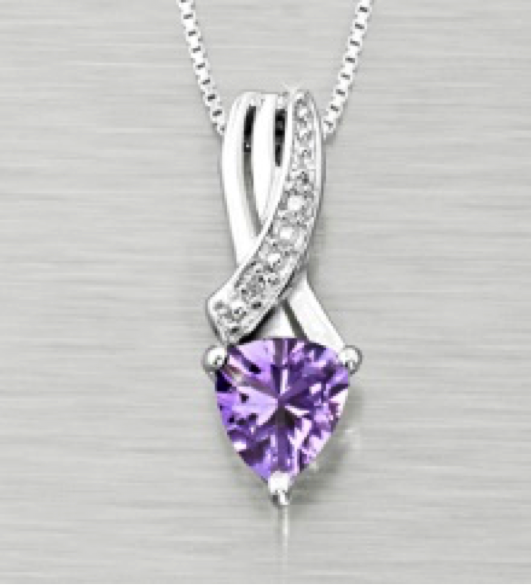 6mm Amethyst Trillion with Diamond Accent Sterling Silver Pendant Necklace. Hanging off an 18 inch box chain is this 6mm amethyst trillion with diamond accent. Sterling silver and brightly colored, it’s the type of gift that dazzles. 2. 6mm Created Ruby & Diamond Accent Sterling Silver Love Necklace. Nothing says love more than a necklace like this. Adorned with a heart-shaped ruby, it shines with its diamond accents and sterling silver chain. 3. Diamond Accent Key & Heart Sterling Silver Pendant. This stylish lock and key pendant is perfect for the female graduate. Sparkling diamond accents make it shine brilliant. An 18 inch box chain with spring ring closure comes with the pendant making it easy to give to your high school or college graduate. 4. Key to My Heart Sterling Silver Pendant with 14kt Gold & Diamond Accents. A shining sterling silver key pendant with 14kt gold and diamond accents is just what a graduate needs to enter the Real World. Perfect to wear with any type of wardrobe with its two tones, the necklace is a favorite because of its exquisite design. 5. Joyful Heart Created Ruby & Created White Sapphire Sterling Silver Pendant. Give with a joyful heart this ruby and white sapphire pendant. Set in sterling silver with an 18 inch box chain, it’s sure to draw the attention of many admirers on commencement day. Give the female graduate in your life a special gift to remember her commencement by. A piece of jewelry withstands the test of time. It symbolizes hope, love, and strength, the qualities she needs to be successful. There’s something warm and inviting about flower arrangements, and the floral centerpiece is no different. Not only does it command attention wherever it is placed, it breathes life into its environment by adding to decor that is already there. Selecting the right floral centerpiece is easy when you know what to look for. 1. The Colorful Ceramic Vase. A colorful vase makes even the lightest flowers stand out. Ceramic is easy to clean and comes in different shapes and sizes to choose from. 2. The White Centerpiece. An all-white floral arrangement is fresh, attractive, and modern. It’s perfect for weddings, anniversary parties, and awards ceremonies. 3. The Candle Centerpiece. Functional and attractive, candle centerpieces are used in fine dining restaurants, at wedding receptions, and even at dinner parties where hosts and hostesses aim to impress. 4. The Vintage Centerpiece. Footed vases filled with flowers, greenery, and even berries is chic. If it’s something your grandmother or mother loves, you’ve got the right idea. 5. The Minimalist Centerpiece. 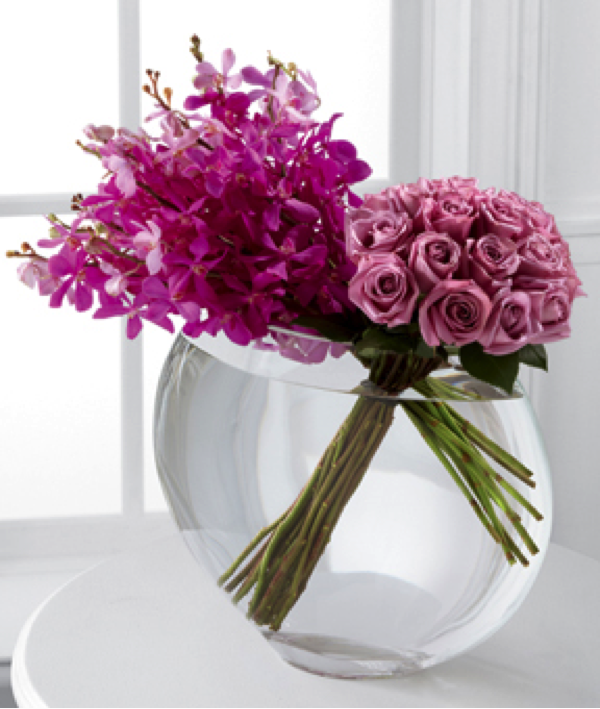 A clear glass vase with a few blooms in it is growing in popularity. Not only is it inexpensive, it’s a classy look easy that’s easy to achieve. The right floral centerpiece transcends time by being perfect for any occasion. Think about what types of flowers add to the decor of the setting. Then choose an arrangement based on its ability to communicate the event or holiday that you’re celebrating. For example, different colors of roses are used for weddings, holidays, and luncheons. They’re the type of flower that exudes beauty and sophistication. 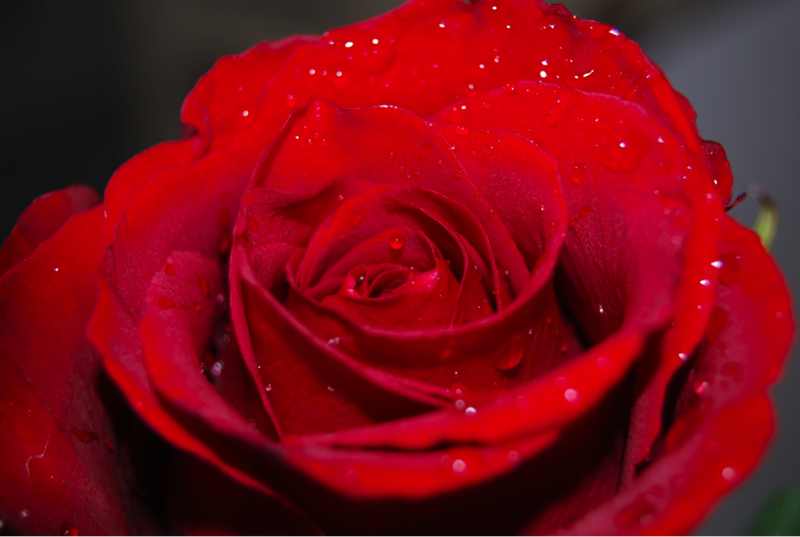 Certain color combinations of roses are appropriate for any event worth celebrating. When in doubt, mix two or three complimentary colors for an attractive centerpiece that everyone talks about. Flowers add color, fragrance, and style to decor. 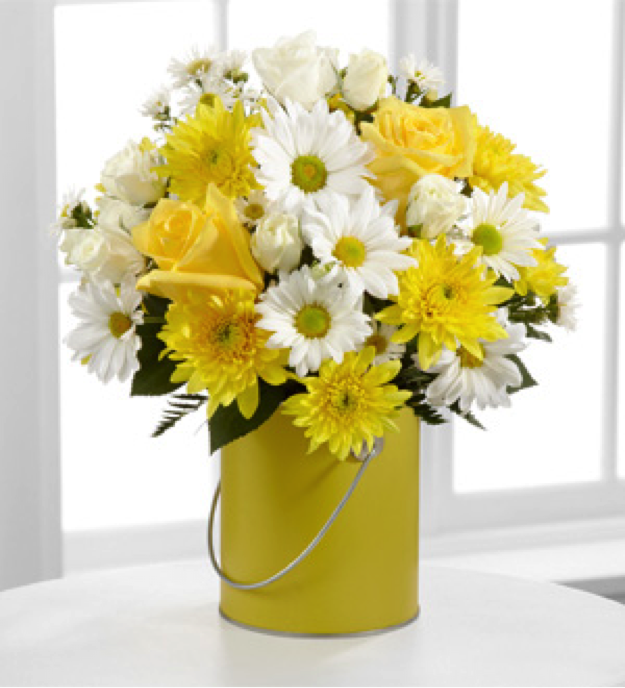 Enhance your home or office with a stunning floral centerpiece. You can’t go wrong with a timeless arrangement. 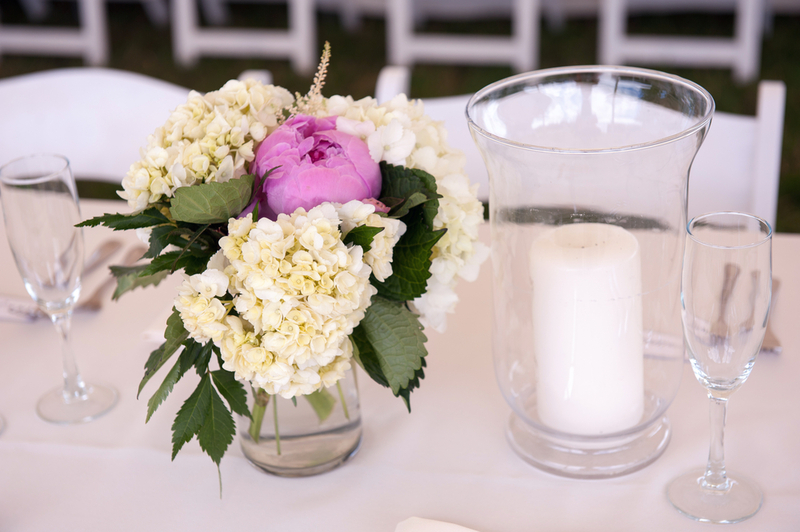 Flowers serve many purposes at weddings. They decorate aisles and tabletops. They give flower girls something to throw as they walk. Brides and their bridal parties carry flowers. Grooms and their groomsmen wear flowers as boutonnieres. Long considered a symbol of love and beauty, roses come in thousands of varieties as well as an array of sizes and colors. Fragrant and available year-round, they’re the most popular flower used at weddings in the US. The perfect spring wedding flower, tulips offer an inexpensive solution for couples to use throughout their rehearsal dinner, ceremony, and reception. The three main varieties of tulips are Dutch tulips. French tulips, and parrot tulips. Calla Lily. Trumpet-shaped and magnificent, the African native was the subject of Art Nouveau and Art Deco works. Ivory is the most popular color with yellow, orange, mauve-pink, and dark purple following. Lily of the Valley. Also called “the ladder to heaven,” the bell-shaped flowers are used in bouquets and centerpieces. White is the most well-loved color but some couples prefer the rare rosy-pink flowers for their wedding. Moderately price and brilliantly colored in shades of pink, blue, burgundy, and purple, hydrangeas fill arrangements and bouquets. They’re sometimes used in boutonnieres. The hydrangea represented vanity in Victorian times. Today, it makes a big statement wherever it is used. That’s what makes it great for centerpieces. Which flowers on the list do you think make the best option for weddings? Many people agree that it’s the rose. Traditional and available in many different colors, it’s timeless, beautiful, and readily available nationwide. FTD® proudly presents the Astonishing™ Luxury Mixed Bouquet by Vera Wang. Blossoming with the color and grace that can only be supplied through the soft beauty of roses, hydrangea and fragrant stock, this bountiful flower bouquet will amaze your special recipient. Brilliant orange roses display their swirling petals amongst clouds of pink hydrangea and pale pink and hot pink stock stems to create a fantastic look. Presented in a superior Vera Wang clear glass and metal urn vase, this stunning flower arrangement is a wonderful way to send your sweetest wishes for any of life’s momentous occasions. The Best Flowers for Summer!